Have you checked out our UTUBE channel – it’s free. Google “Jahne Hope-Williams YouTube” and it will get you there. NO YOGA CLASSES IN THE SCHOOL HOLIDAYS – except one class after lunch at the Uniting Church 1pm Mondays. Classes start again on Monday 22nd April. Please click on “classes” on the web site. 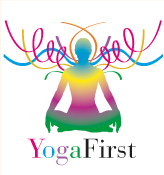 COST: Yoga $20 per Class Or CLASS PASS – NEW STUDENTS $165 for 10 classes. Students who have belonged to the studio for more than 3 years, $135 per 10 CONSECUTIVE classes. After 3 years as a student, the cheaper rate will apply. Meditation sessions by donation are on Tuesdays at 11am and Sundays at 9.15am. RIGHT THROUGH THE SCHOOL HOLS. All classes outside of this time are at my regular one-on-one class charge of $85. When you have a one-on-one session it will be very much directed towards your needs… this is often not possible at a class/group session. The REVELATION TAROT is now in its 10thyear on ETSY. I am at present waiting for scanning and then printing of the extension 9 cards. “Gates and Guardians”, and the accompanying book. There are also ready-to-frame cards. See them on the You Tube Channel. BUDDHA’S GLOVES – HELP PLEASE! I am working on a new art exhibition, and I would appreciate your help. The title of the exhibition is BUDDHA’S GLOVES, and I will be constructing gloves which reflect the life of the wearer. People like Princess Di, Mohammed, Ghandi, Buddha, Jesus, Yoganandya, Madonna, etc . To do this I will need unusual pre-loved gloves, sewing notions – laces, trims. I am also looking for a glove mushroom (the wooden things you put in glove fingers to enable darning or sewing to be done), and an old fashioned wooden darning mushroom. Do you or someone in your family have a box of sewing bits and pieces that will never be used again. Please send them to me, I will use them, to: PO Box 14, Mt.Macedon. 3441. If there is a story attached, I would like to use that too in a book I will be preparing to accompany the exhibition. The embroidery bits and pieces and gloves will be used, and will not be returned. The collection will remain a collection and will not be broken up for sale. POSTAL VOTING: I don’t know whether you have noticed, but that red and white postal voting application appears to have been sent by none other than THE LABOUR PARTY and not the Electoral Office. The return address on the envelope is the labour party. Do you want the labour party to have all your information? When you go to the polling both they only need to confirm you are a voter on the rolls, on the postal vote application the labour party has masses of information about you at their finger tips. Voters beware! At the very least BE AWARE. NO YOGA CLASSES IN THE SCHOOL HOLIDAYS – except one class after lunch at the Uniting Church 1pm Mondays. Please log in to our FREE You Tube Channel for our cooking classes. Google “Jahne Hope-Williams You Tube” and SUNSCRIBE. At time of writing I have OAT MILK, KOMBUCHA and a run through my kitchen – It does not look like Nigella’s – or even Jamies. I am inspired, and will put up recipes, and me cooking, when I can. My wonderful son, Jesse, who lives in Vancouver, won an Academy Award (yes, a real one) for his work on Spiderman the Movie! Am I a proud mother – of course. I am anyway. Both of my children are winners, and always have been. Meditation sessions by donation are on Tuesdays at 11am and Sundays at 9.15am. RIGHT THROUGH THE SCHOOL HOLS. All classes outside of this timeare at my regular one-on-one class charge of $85. When you have a one-on-one session it will be very much directed towards your needs… this is often not possible at a class/group session. Yoga $20 per Class Or CLASS PASS – $135 per 10 CONSECUTIVEclasses (students of the studio for 3 years or more). New students: $165 per 10 class pass (normally $200) After 3 years as a student, the cheaper rate will apply.